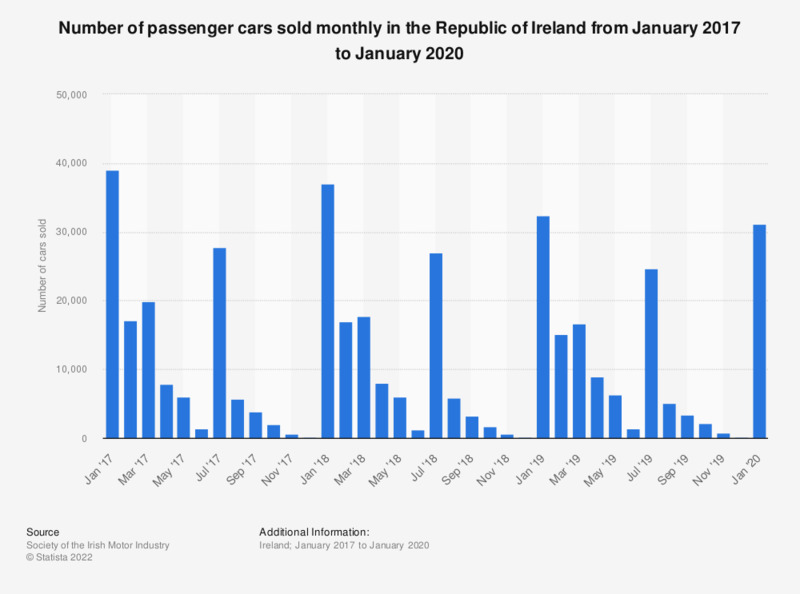 This statistic shows the number of passenger cars sold in Ireland between January 2016 and February 2018, by month. The highest number of sales in a month was 39.7 thousand in January 2016, followed by 39 thousand units sold in January 2017. Figures for previous months also provided by the source.